If you like multiplayer, you’ve probably heard all about how you should be playing with a wired connection. The Switch, like the Wii U before it, doesn’t even have an Ethernet port—but you can fix that. A week and a half ago, I purchased Hori’s Nintendo-licensed LAN Adapter on Amazon. At 29.99, the official thing is not a cheap add-on, and it’s especially annoying to have to shell out any money at all considering that both the PS4 and Xbox One have this functionality built in. All the same, I wanted to test the adapter out because I’ve been playing a hell of a lot of Splatoon 2 lately. The game made it sound like I had maliciously rage-quit from the match, but that wasn’t the case at all. My guess? My connection hiccuped, because as we all know Wi-Fi isn’t as stable as a wired connection. So I tried fixing it. For me, this meant using an extremely long Ethernet cable and hooking it up to my Switch via a network adapter. 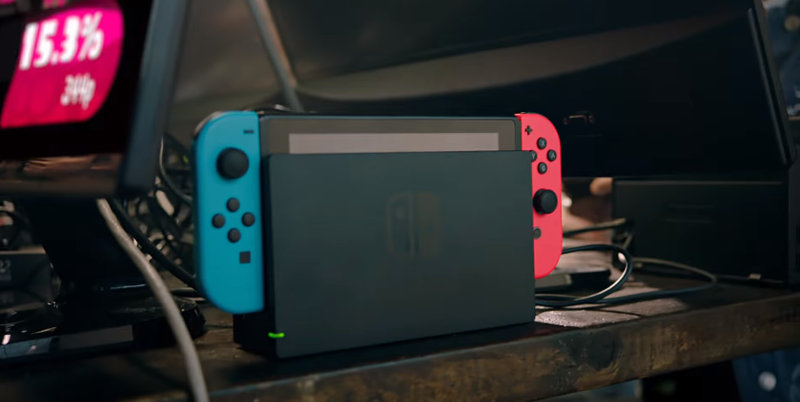 The adapter plugs into the USB slot on the Switch, which means you can only use it docked. For some folks, this won’t be an option—maybe your router is too far away, for example. But if you have the money and ability to do it, I’d wholeheartedly recommend it. Over a dozen hours later, I’ve yet to drop from a Splatoon match or see any weird connection issues. It’s all been smooth as butter; my shots go where I think they do, and there are never any teleporting squidkids. Hilariously, I’ve now encountered the opposite problem: I stay in matches where other players disconnect, something that can be particularly harrowing in modes like Salmon Run. I’m betting those folks were all on Wi-Fi, too. Beyond the in-game benefits, having a wired connection is mighty useful whenever you’re downloading a game. Something that might have taken an hour or two before can now be nabbed in 10 or 15 minutes, which allows me to get back into the action quicker. Life with a Switch network adapter is definitely better, if you can swing it.